Do you want to know details about Saheli Oral Contraceptive Pill (Tablet) before using it? Are you looking for which Contraceptive Pill to take & which not to take? Do you want to know how to protect pregnancy in healthy manner? Do you want to know which is the best Contraceptive Pill (tablet) having no or less side-effects? It's important to take steroid free Contraceptive Pills (tablet) from not getting pregnant so early. In recent market, there are so many ways to protect pregnancy and so many products giving you the opportunity to become pregnant on your wish. For men, we all know, Condom should be used to protect himself from AIDS & to protect your partner from getting pregnant. In case of Woman, few tablets were introduced to protect herself from pregnancy. But, it has to be said that most of all Contraceptive Pills has side-effects that causes health disorders because of 'steroid'. After two decades of research, Central Drug Research Institute of India has discovered Steroid free Contraceptive pill named 'Saheli'. Saheli Oral Contraceptive Pill is the first non-steroidal Oral Contraceptive pill (tablet) developed by the Central Drug Research Institute of India located at Lucknow. Only twice a week for the first three months. Only once a week on & from Fourth month till when you don't want to get pregnant. Saheli Oral Contraceptive Pill production is strictly in line with WHO (World Health Organization) GMP norms and extensive clinical data available for registration with Drug Control Authorities. Saheli Oral Contraceptive Pill (tablet) is side-effect free. It means, there is no side effects for using / taking Saheli Oral Contraceptive Pill. Most of all Contraceptive Pills (steroid based pills) have their side effects on woman body like 'spinning head', 'fatty tendency', 'vomiting' etc. Since, Saheli Oral Contraceptive Pill is a Steroid Free Contraceptive Pill; there is no side-effects. Not like other contraceptive pills; you need to take two Saheli Oral Contraceptive Pills per week for first 3-months and then only once per week. Every packet of Saheli Oral Contraceptive Pill contains 8 Tablets and the price of Saheli Oral Contraceptive Pill is around Rs.160/- in the market [price may get changed]. You are advised to buy Saheli Oral Contraceptive Pill only from Medical Stores. If you want to know more about Saheli Oral Contraceptive Pill then please feel free to call 1800-425-3223 Toll Free customer helpline number of Saheli Oral Contraceptive Pill. You may also write your queries & feedbacks to saheli@lifecarehll.com. Breast Cancer is increasing so rapidly in India for last few years or so. A special Survey report of Cancer (especially on Breast Cancer Survey Report) shows that the Percentage of Increment of Breast Cancer is quite high in developing countries because of the fast life style & carefree attitude toward our life. Rate of increase of Breast Cancer is more in our country India than others in last few years. Breast Cancer Survey Report stated that around 80 Thousand patients died every year due to Breast Cancer in India and approximately 1 Lakh human being got affected by Breast Cancer per year in India due to lack of responsibility and treatment. The most scary report about Breast Cancer is that; by 2020 Breast Cancer would become the top-most reported diseases in Indian Female. The fast lifestyle is the main cause as per the report; yes nowadays Indian Women are not restricting them in family works and doing jobs at their will. Since, making career is becoming more important in women life they are getting married in older ages than before. Due to work, females are not willing to have child, which is another reason. Shorter duration of breast feeding is another reason. Research says that some of the other reasons of breast cancer are improper bodyweight, lack of physical exercise, improper food habits, excessive alcohol consumption of alcohol, smoking – either active or passive. Some of the reasons for Breast Cancer like late childbirth, insufficient breast feeding, genetic etc are unavoidable, thus Doctors advise for regular medical checkup for advance detection of Breast Cancer. 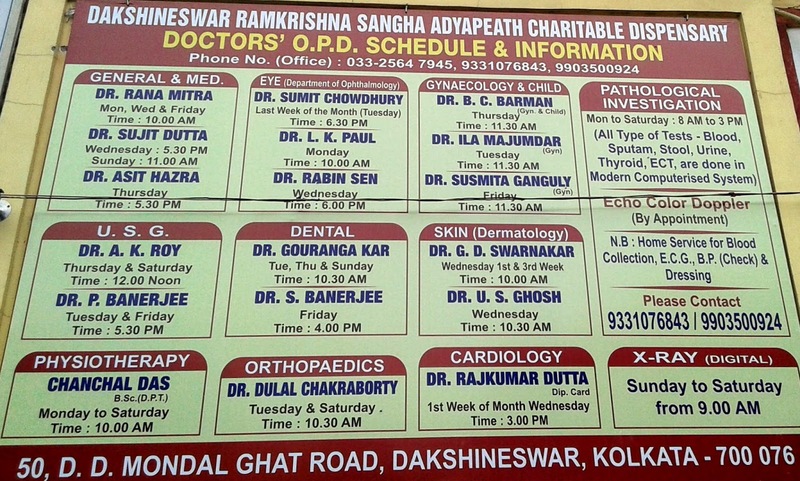 Here are the few names of Oncologist (Cancer Doctors) of Kolkata with their Camber Address, Contact phone numbers. 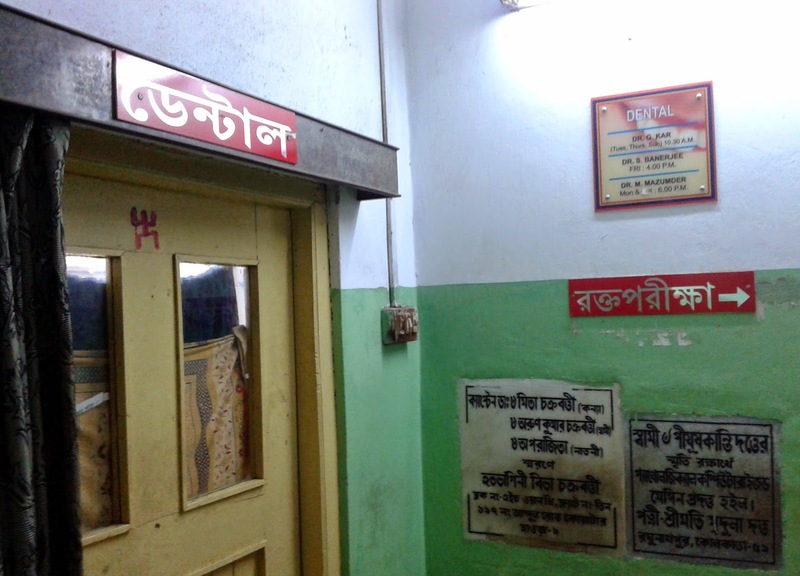 Location: AMRI Hospital, Near Dhakuria Bridge, Gariahat, Kolkata – 700019. Timings : Monday to Saturday 9.30 am to 6.0 pm. Sunday closed. Location: 11/1 Belgharia Railway Station, Madhusudan Banerjee Road, Nandan Nagar, Kolkata – 700083. Location: 73 C, 1ST Floor, Beside Kalighat Post Office, S P Mukherjee Road, Kalighat, Kolkata – 700026. Timings: Monday to Saturday 9.30 am to 6.0 pm, Sunday closed. Location: 171/1, Saket Enclave, Near Navina Cinema, Prince Anwar Shah Road, Tollygunge, Kolkata – 700033. If you are in search of Hospitals & Nursing Homes in Kolkata with the facility of Breast Cancer Treatment then please visit List of All Breast Cancer Treatment Centres in Kolkata & West Bengal now. People who are looking for Blood Bank & Oxygen in North Kolkata’s various places like Sodepur, Khardah, Barrackpore, Ariadaha, Belgharia, Agarpara, Nimta, Titagarh, Panihati, Dumdum area can contact at the below mentioned phone numbers of Blood Bank & Oxygen provides of North Kolkata. 1. R.G. Kar Blood Bank Kolkata Phone number 033-25557676 / 033-25558838. 2. Kendriya (Central) Blood Bank Kolkata Phone number 033-2351 0619. 3. Kolkata Medical College Hospital Blood Bank Kolkata Phone number 033-2241 4901. 4. Lion’s Blood Bank Kolkata Phone number 033-2248 5778 / 033-2248 5780. 1. Anuradha Medical Centre Kolkata for Oxygen Cylinders & Medicine – Phone number 033-25638383. 2. Dr. Amitabha Basu Smrity Swasthya Raksha Kendra Nimta Kolkata for Oxygen Cylinders & Medicine – Phone number 033-2513 7070 / 033-25137439. If you know any other Blood Banks in North Kolkata and Medical Centres in North Kolkata offering Oxygen Cylinders 24-hours; then please include those Medical Centres / Blood Bank names along with phone contact numbers here by posting as comment. Search Tags: List of Cancer Hospitals in Kolkata, All names of Cancer Institute Treatment Centers in Kolkata, List of all Cancer treatment nursing homes hospitals in Kolkata, Cancer Treatment in Kolkata Hospitals Nursing Home Name Address Phone number guide. In these years, there are so many life saving treatments arrived worldwide to fight against Cancer disease and that brings a new hope and excitement too. Previously there were only one or two treatments available for Cancer patients and also those were very costly & out of reach for middle class families. But, now time has changed and many new treatments of Cancer have arrived like surgery, radiation, hormonal therapy, chemotherapy, ayurvedic etc to treat cancer. Those who are looking for Cancer Treatment Centres (Hospitals / Nursing Homes / Clinics) within Kolkata (South / North) are requested to check the below list of all Hospitals / Nursing Homes / Clinics in Kolkata that has the Cancer Treatment (Oncology) department. Belle Vue Clinic Minto Park Kolkata (address 9, Dr. U. N. Brahmachari Street, Loudon Street, Kolkata – 17) provides various types of Cancer Treatments in Kolkata. The Phone number of Belle Vue Clinic Minto Park Kolkata is 033-2287-2321 / 033-2287 7473. Apollo Gleneagles Hospital Kolkata provides various types of Cancer Treatments in Kolkata. 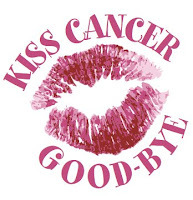 Phone number of Apollo Gleneagles Hospital Cancer Department is 033-2320-3040. Ruby General Hospital Kolkata provides various types of Cancer Treatments in Kolkata. Phone number of Ruby General Hospital Cancer Department is 033-24426091 / 39871800. Cancer Centre Welfare Home & Research Institute Kolkata provides various types of Cancer Treatments in Kolkata. Cancer Centre Welfare Home & Research Institute is situated near Thakurpukur Behala Kolkata and the contact phone number is 033-24532781 / 2453 2783. Subodh Mitra Cancer Hospital & Research Center Salt Lake Kolkata. Phone Number of Subodh Mitra Cancer Hospital & Research Center Salt Lake Kolkata (033) 4020 7777. Desun Hospital & Heart Institute EM Bypass Kasba Kolkata address: E.M. Bypass Desun More, Kasba, Golpark, Kolkata, West Bengal – 700107. Phone No. 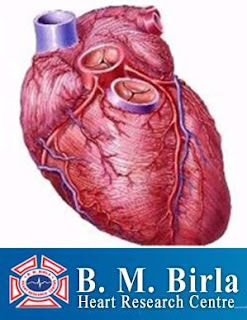 of Desun Hospital & Heart Institute EM Bypass Kasba Kolkata is (033) 2443 4567. SRL Religare (Alipore Clinic) Kolkata address: 1, National Library Avenue Kolkata, (Near B.M.Birla Heart Centre), Kolkata, West Bengal – 700027. Phone No. of SRL Religare (Alipore Clinic) Kolkata is (033) 2479 1026. Probe Diagnostic & Research Center Pvt. Ltd. Of Entally Kolkata address: 121, A J C Bose Road, Entally, Kolkata, West Bengal – 700014. Phone No. of Probe Diagnostic & Research Center Pvt. Ltd. Of Entally Kolkata is (033) 2217 1184. DARADIA The Pain Clinic Ultadanga Kolkata address: Concord Tower, 2nd Floor, 92/2A Bidhan Nagar Road, Ultadanga (Bidhannagar), Near Rohini Housing Complex, Kolkata, West Bengal – 700067. Phone No. of Daradia Pain Clinic Bidhannagar Kolkata is (033) 3965 7857. N G Medicare Cancer Treatment Centre Kalighat Kolkata address: Rash Behari Avenue, Kalighat, Kolkata, West Bengal. Phone No. of N.G. Medicare Cancer Centre Kalighat Kolkata is (033) 2464 2945. Dr. Sujit Kumar Ghosh (Oncologist / Cancer Specialist) Chamber near Ballygunge. 32, NR Ballygunge Phari, Broad Street, Ballygunge, Kolkata – 700019. Phone No. of Dr. Sujit Kumar Ghosh Cancer specialist is 033-66039442. Cancer Centre Welfare Home & Research Institute Behala Kolkata address: 99/10, Mahatma Gandhi Road, Thakurpukur, Kolkata – 700063. Phone No. of Cancer Centre Welfare Home & Research Institute Behala Kolkata is (033)-24536711, 24532781, 24532782. Be careful and never neglect the symptoms of Cancer. Contact doctors as soon as you feel something irrelevant happening in your body.